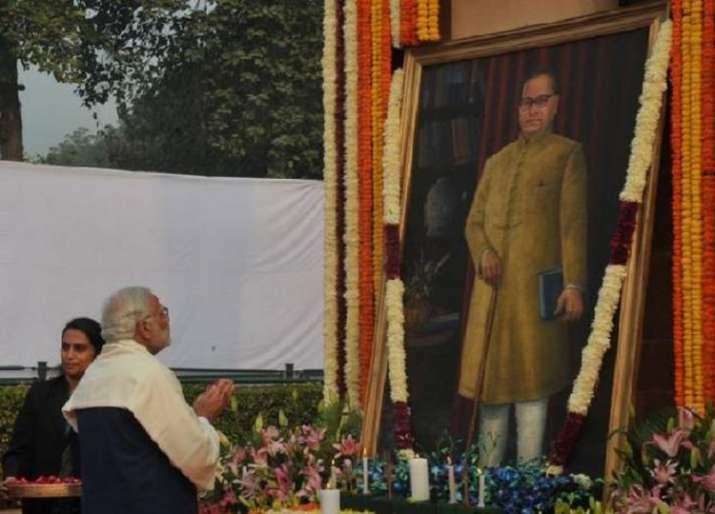 Prime Minister Narendra Modi, President Ram Nath Kovind and Vice President M Venkaiah Naidu paid tributes to Babasaheb Bhimrao Ramji Ambedkar on his 62nd death anniversary on Thursday. Modi, Kovind and Naidu also paid floral tributes to Ambedkar at a function in Parliament House Lawns in Delhi. Tributes were also paid by Lok Sabha Speaker Sumitra Mahajan and several other MPs to the architect of the Indian Constitution.